… And that is a great thing. 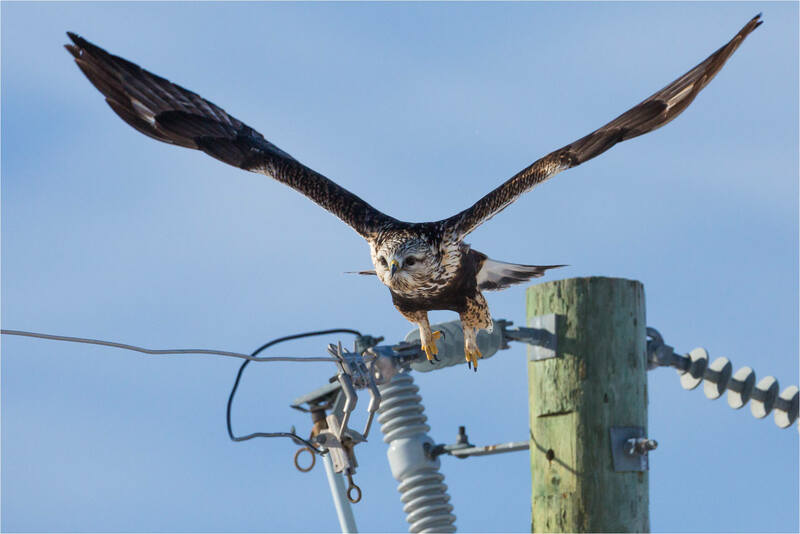 Everywhere may be an exaggeration but if you drive along the range roads west of Calgary or hike along the edges of the fields around the Springbank and Bragg Creek areas, you are very likely to spy one of these beautiful birds perched on a treetop or telephone pole. 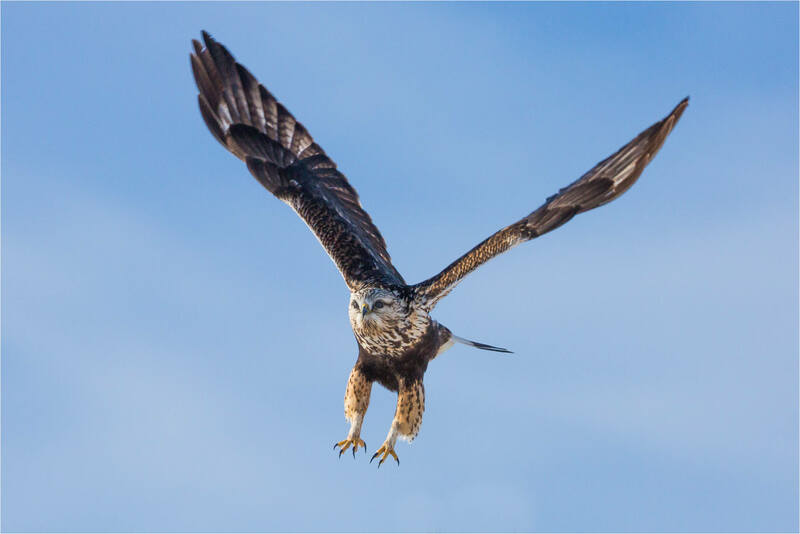 If you are lucky, or have the time to wait, you can see them gliding over grassy areas searching for the small creatures that they prefer to dine on. 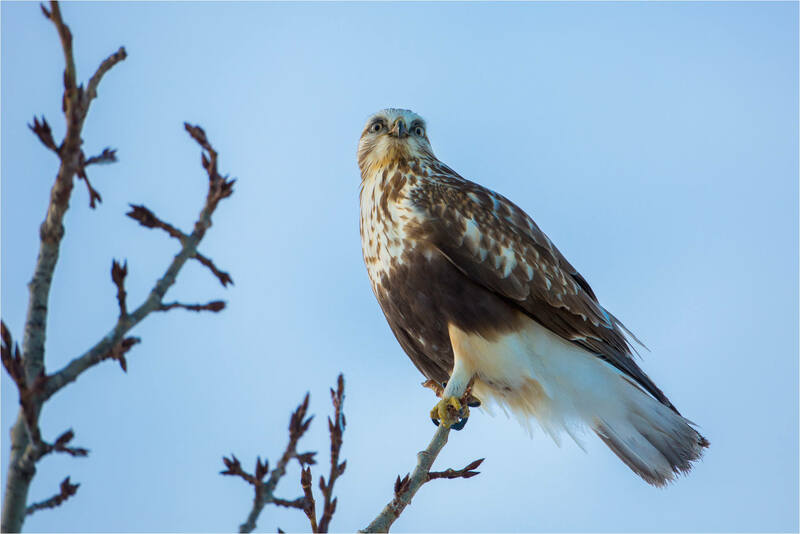 In my wildlife searches this winter, I have enjoyed seeing many of these hawks. Above and below a Rough-legged is on the hunt in West Bragg Creek. 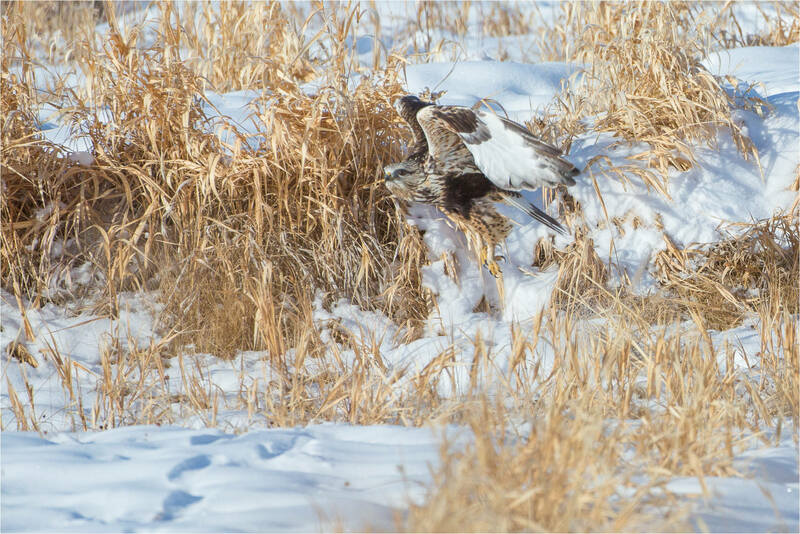 Below, a couple of hawks working the fields around the Springbank Airport came close enough and stayed around long enough for me to photograph. This entry was posted on January 9, 2013 by Christopher Martin. 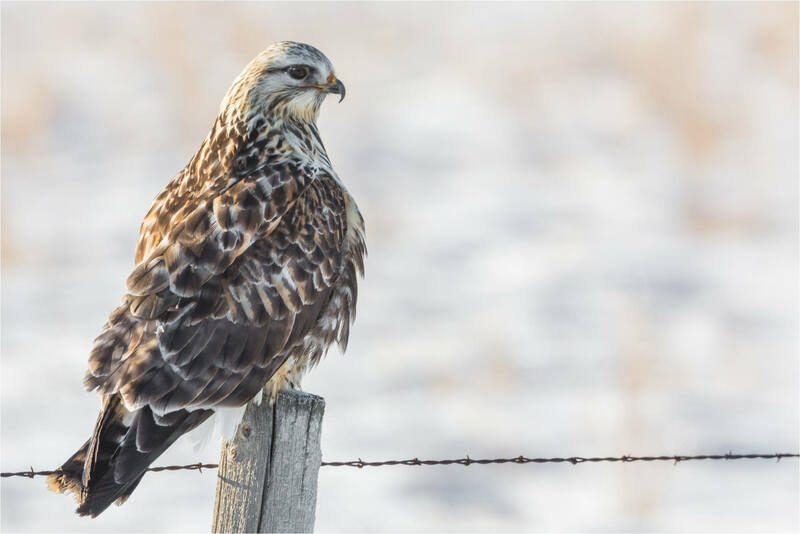 It was filed under Hawks, Wildlife and was tagged with alberta, birds, Buteo, flying, Hawks, nature, raptors, Rough-legged hawk, wildlife photography, winter. 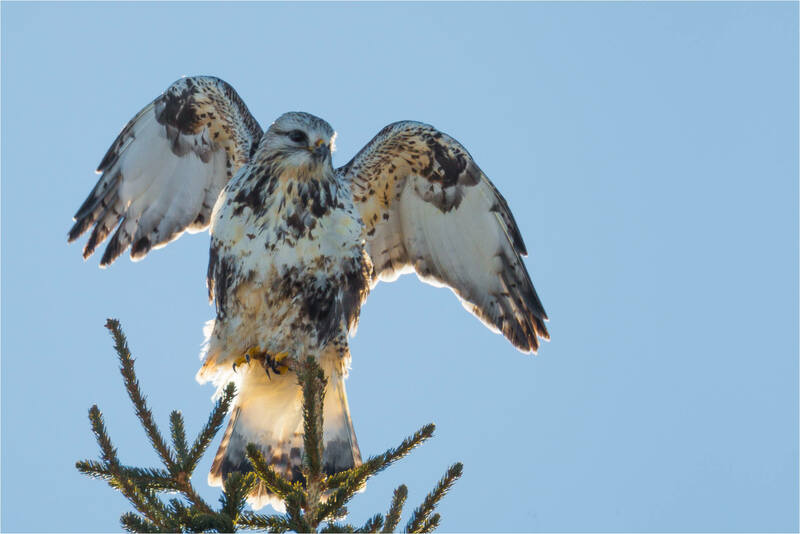 Nice captures of the Rough-legged. haven’t seen one in a while. Like how the light accentuates the portrait. Great photos! 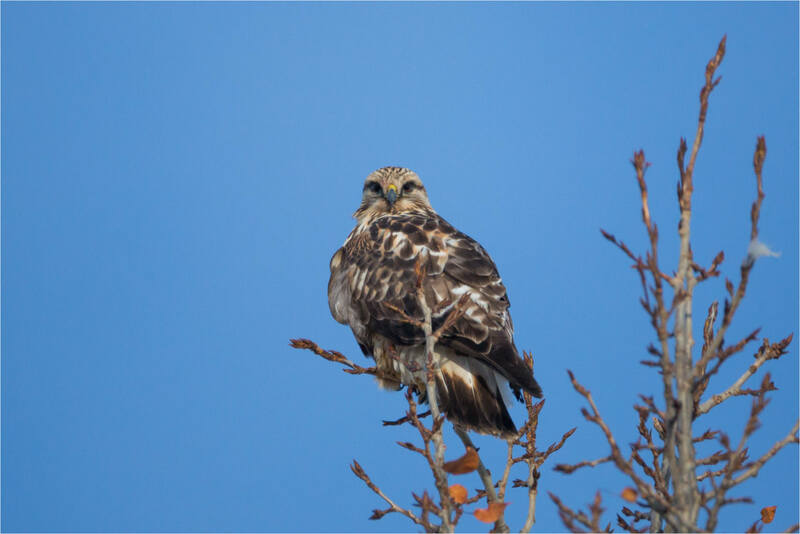 I am conducting eagle surveys across Utah this winter, and am paying attention to Rough-legged Hawk numbers as well. Seems to be more than usual down here also. Great post! I found my way here via Val at “Arty Old Bird” who apparenlty thinks this blog is great and so now I find for myself that the blog IS GREAT! Stunning photos of these beautiful birds. Beautiful photos of one of my favourite birds.